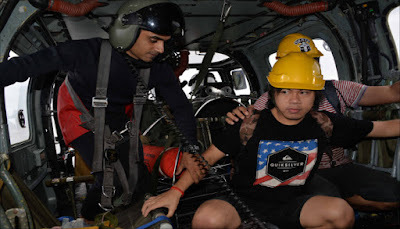 An IAF pilot-Squadron Leader Meet Kumar, a fully operational pilot , killed in crash, when at 1220 Hrs today, an IAF MiG-21 got airborne from Air Force Station Pathankot Airfield for a test sortie crashed in Kangra district of Himachal Pradesh at 1321 hrs. 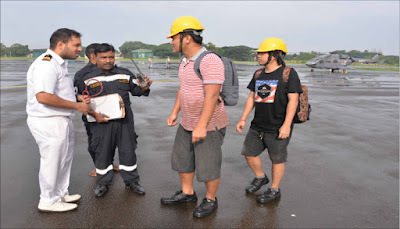 Plane was on air test sortie after major servicing, seems malfunction of controls, transmitted calling off & confirmed all normal, pilot didnt eject due to less reaction time, was flying low. A Court of Inquiry has been ordered to establish the cause of the accident. Two Indonesian stranded crew members of the floating dock Al Fattan which had got grounded near Thottapilly beach, about 10 nautical miles South of Alleppey were rescued by an Advanced Light Helicopter (ALH) from the Southern Naval Command (SNC) and evacuated to the naval air station, INS Garuda at Kochi on 17 July 2018. 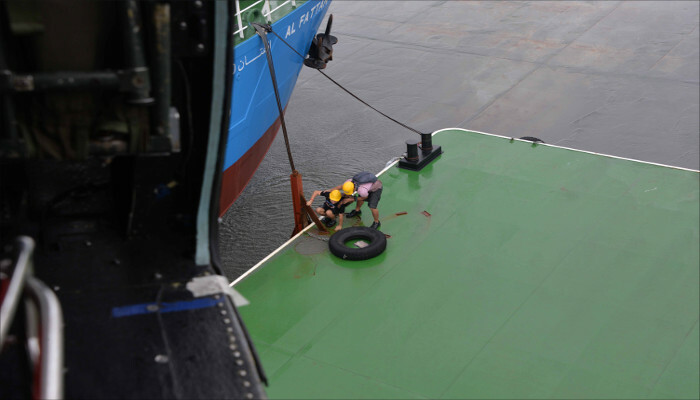 The naval effort was based on a distress call received from the stranded floating dock late night on 16 July 2018, that it had drifted after being severed from its towing tug and needed immediate evacuation of the two crew members, Mr Steven Adrian Waney and Mr Brian Lumbu. The tug and dock are registered in Abu Dhabi. 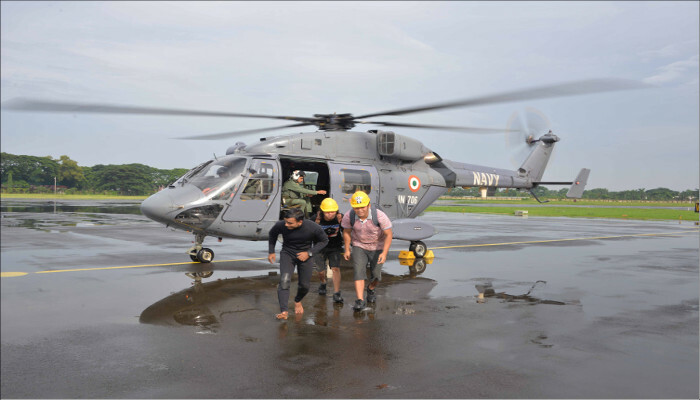 The ALH of INAS 322 Squadron of INS Garuda took off at 0700 hours with the pilot-in-command Lt Cdr Vinoth D and co-pilot Lt Col Kapil Agarwal, despite sustained inclement weather. 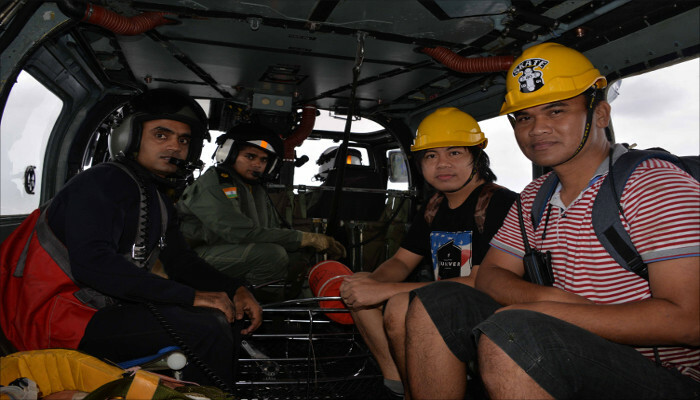 The aircraft established radio communication with the stranded crew and after briefing them on the procedure for their rescue, winched them up using its Rescue Basket, an advanced Search and Rescue equipment that has been recently acquired by the ALH. 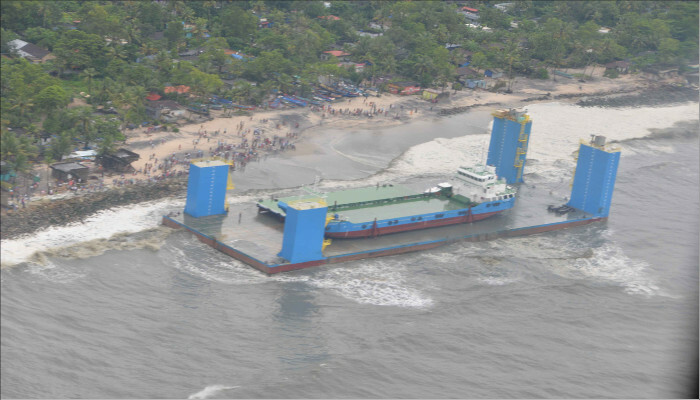 The rescue operation was undertaken in the challenging scenario of adverse weather conditions of wind speed in excess of 25 knots accompanied by rains along with presence of heavy swell making the dock unstable as also the presence of multiple high obstructions due to pylons providing little manoeuvrable space. 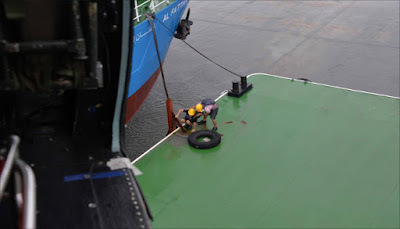 The high skill and concentration of the pilot along with the superior efficacy of the rescue basket enabled both the crew members to be simultaneously winched up, thereby minimising the time spent in hover between the pylons. The rescued personnel were brought back to Kochi to be handed over to the Coast Guard for coordinating immigration and other further formalities.